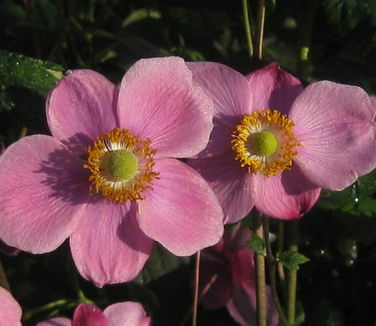 'September Charm' Japanese Anemone has a silvery cast to its tall pinkish rose single flowers. One of the hardiest of the Anemones, it expands gradually to make an impressive group. Fall blooming.